The Affordable Care Act plans offer new benefits with its new “metal” plans, however in California choices of doctors and hospitals are being limited by insurers. Insurance premiums came in lower than expected and one of the reasons is keeping most California’s metal plans within networks. 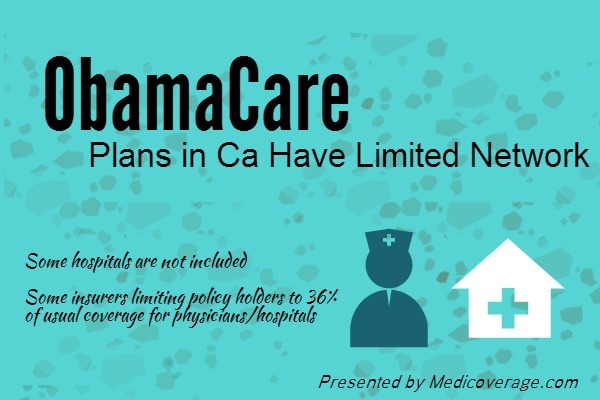 The new plans are known as the ObamaCare Bronze, Silver, Gold, and Platinum Health Plans. According to the L.A. Times, Health Net’s, “exchange customers will be restricted to 36% of its regular physician network statewide.” But it isn’t just Health Net. Some hospitals are only in one network, like UCLA’s Medical Center is only covered by Anthem Blue Cross. The world-renowned hospital Cedars-Sinai may not be assigned to any insurer’s metal plan. Californians need to check to see if their doctor and hospital are in network with the plan they choose. One reason insurers are limiting networks is because of the new ObamaCare essential health benefits that must be covered such as ambulatory services, emergency care, pediatric dental, and mental health. Adding these benefits are to help patients but cost more to insurance companies. This narrow network plan layout is not exclusively in California. There are plans available now that policies end December 31, 2014, and these plans do not have the same restrictions as the metal plans. To learn about plans available now or about coverage with the new metal plans call 800-930-7956 or contact Medicoverage.